I started dancing at the age of four with Aunty Kuulei Punua on Kauai. 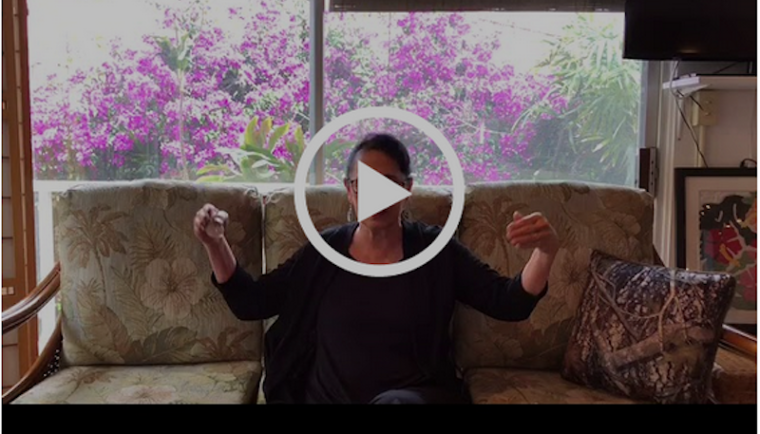 A few years later, after my family had moved to Oahu, I began taking lessons from Kanani Bell. But then I stopped dancing hula for a few years, and it was not until the seventh grade that hula resurfaced in my life. I started taking hula lessons at Punahou School from Kumu Hula Leimomi Maldonado. I learned much about hula from her, but the deeper, more meaningful lesson that I absorbed was the elegant concept of grace. Leimomi was gracious, beautiful and kind and she resparked my love for hula. She treated me like a daughter and gave me rides home after hula, so I would not have to take the bus. She left Punahou School to form a professional dance troupe with her brother Milton I. I was hired right away by “The House of I,” and we were performing in shows every week. 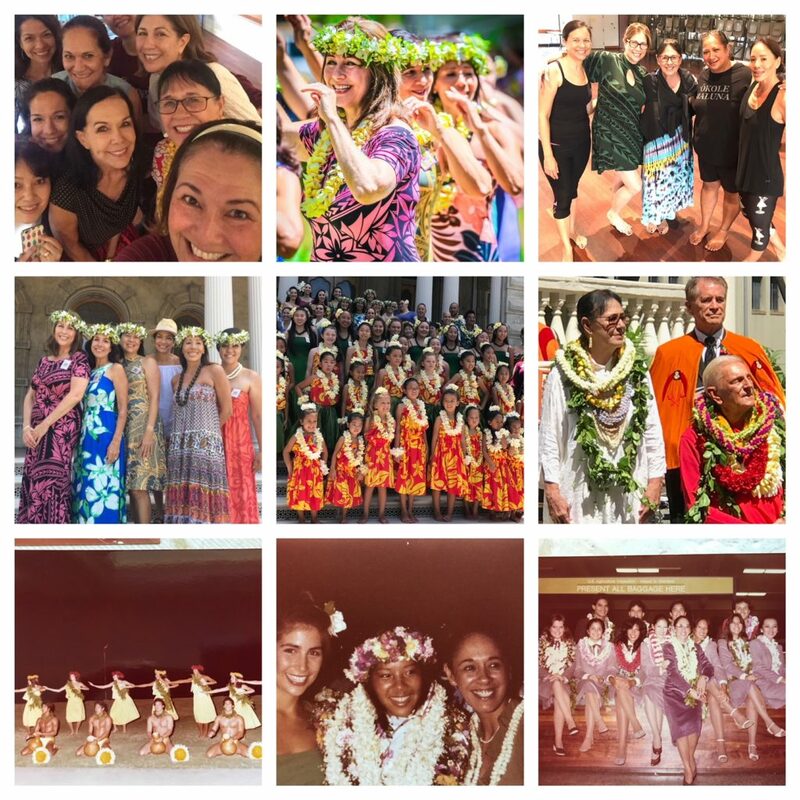 Hula was my life, and my hula sisters became my family. Every performance was like going to a party with my best friends. I learned much from Leimomi, and she played a huge role in nurturing and building up my self-confidence. Not only did she teach me how to be aware of my body and move in grace, she helped me to bloom into a young woman. She was one of the most gracious and elegant women I have ever met. She called all of us ‘babe’ and ‘honey,’ and I always felt nurtured and loved. Her inner light shined so beautifully and brightly that I knew when I grew up I wanted to be as gracious as she was. Life got pretty busy, and in my early 30s, I stopped dancing hula for many years. Last July, Leimomi and Milton were honored at the Prince Lot Hula Festival at Iolani Palace. My hula sisters and I were asked to dance at the festival in tribute. I was traveling a lot, and not in town for many of the rehearsals, so Leimomi offered to teach me the numbers herself. I had not seen her in many years when I dropped into the studio to practice. It was as if I had come HOME! As Leimomi danced with me, I had to hold back the flood of emotions and tears of pure JOY! To dance again side by side, engulfed in her beauty, grace and love was overwhelming. I realized then how much my soul had missed her. Dancing with my hula sisters after decades transported me back in time to a much younger, freer time when my life was all about HULA. Today, my hula sisters have reunited, and we are back dancing with Leimomi. The laughter and love every Tuesday fills me with such a wonderful hula high! Leimomi is pure grace, and I was very lucky to have a beautiful role model and mentor. Hula is a grounding tool that allows me to connect with nature and the earth. It is also a vehicle for me to align with source, find the peace within me, and connect to my inner soul. Hula dancing is a huge part of my life again, and I have never been happier. I owe so much to Leimomi for being such a huge force in my life. I am grateful to her for many things…from her nurturing and guidance to the many years of free hula lessons when I did not have enough money to pay, to the grace and love she bestowed upon and instilled in me. Mostly, I am grateful to her for showing me how to give and love with an open heart and for teaching me about the spirit, soul and the mana (divine power/source) of hula. Leimomi saw the light that lived within me, and she made sure it shined brightly. Today, hula has become a kind of a moving meditation for me and, through my dancing I access a very peaceful, sacred place. That place is Grace.